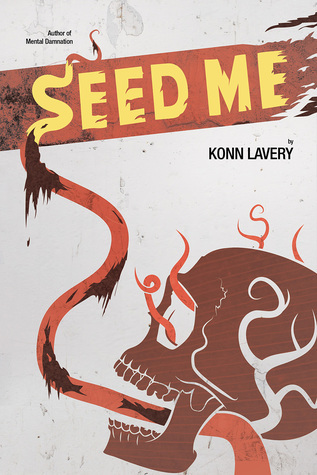 Seed Me follows Logan as he tries to navigate a murder, avoid a deadly cult and try to figure out who the girl was he made out with behind the dumpster. This is a unique setup to a novel. What was the inspiration that made you want to write this story? The concept had evolved over time through various plots while keeping the same underlining theme of cults, a dead girl and carnivorous plants. The protagonist and scenarios changed from the original concept back in 2011. In a way, Seed Me is a prequel to the original manuscript. So there may be another book in the works in the future. A lot of the inspiration that helped create Seed Me came from my own discomforts. For example, I had bed bugs back in 2011. They were hard to kill, only fed on human blood and spread like wildfire. I found it intriguing that a creature so small could cause something so large (being me) so much grief. This sparked my research into symbiotic relationships within nature. You see this style of monsters in the horror genre all the time. Some notable ones being John Carpenter’s The Thing or Ridley Scott’s Alien. This research is where a lot of the time was invested for the novel. I wanted to create a new kind of monster for the story l I was writing. Plants often get a bad wrap in the horror genre because they are difficult to make frightening, so I decided to challenge this. As for the cult, religious groups are a huge interest of mine – you can see this in my Mental Damnation series as well. People have done some wild things in the name of their faith. It is a strong motivator. I enjoyed the characters in this story because they were slow to build but had depth. What was your writing plan when creating these characters? The characters within Seed Me are pulled from my own experiences of living in Edmonton. A lot of them being mashups of numerous personalities of people I know to create their unique persona. My Mental Damnation series has a lot of characters that serve a single function in the story. With Seed Me I wanted to strip away as many characters as possible and really see how deep I could go with their personas. An example of that would be Janet’s passion for renewable energy and her father’s work in the oil industry. This brief backstory reveals conflict within her personal life, explaining some of her choices in the story. There is a mysterious group of people called Harvesters that may or may not be behind the murders in town. How did you set about creating this group and did you accomplish everything you wanted? The Harvesters went through MANY revamps. Much like the plants in the story, I researched to help define who the Harvesters were. Originally they were a group from eastern Asia, since these cultures have a vast history of working with plants and using them as medicine. However, after reading about the history of Edmonton and Alberta, I learned that many of the first settlers were from Europe. Settlers from Asia came to Alberta much later. With this new knowledge I had to restructure the Harvesters’ origins. Ultimately it worked better than the original concept: druids are well known in pop culture for having strong ties to nature which supported the plants. I would say that the Harvesters accomplished what I wanted. The reader is given enough information to know what their goals are and where they are from, while how they came to be and their inner workings remains mysterious. There’s a lot more that could be told about them, perhaps this will be revealed in a sequel. What is the next book that you are working on and when will that be available? Currently I am working on the Mental Damnation series again. The story hasn’t been completed and I would love to give a conclusion for the readers. I have a lot more to share regarding this in the coming months. Keep watch for early 2017 for this next novel. 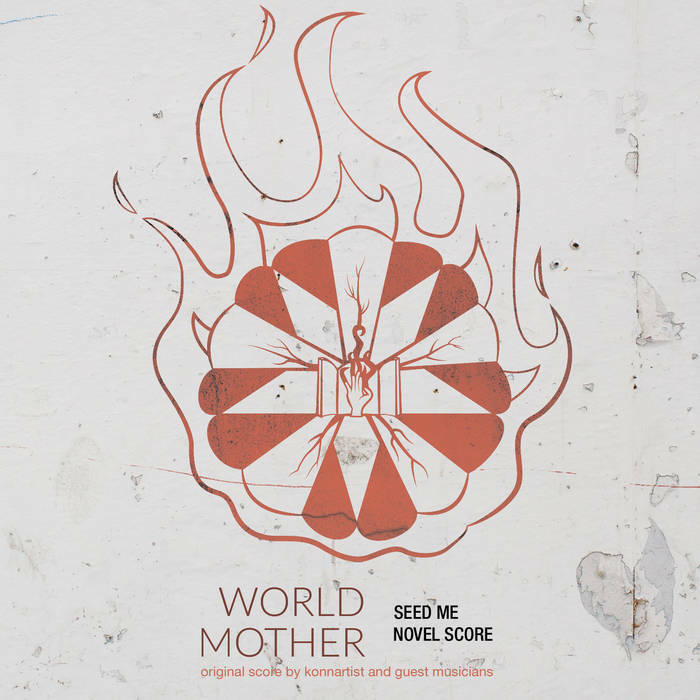 One thing I’d also like to add is that Seed Me’s release was accompanied by a musical score. Some of the tracks were written by me and others by local musicians in Edmonton who based their songs on various chapters found within the novel. The 10 track album encompasses the whole story of Seed Me through dark ambient music. If you’re reading this, then you did not take the above warning seriously. In that case, you’re probably as stupid as me. I’m Logan, by the way. I didn’t pay attention to any warning signs either. Being an unemployed deadbeat in Edmonton with no family and getting dumped by your girlfriend for her best friend can wear a guy down. All I had was my cokehead buddy, Skip, to cheer me up. Surprisingly, my precautionary tale was not caused by either Skip or the drugs. Let’s just say a drunken make-out session with a pale girl by a dumpster, who was supposedly pronounced dead earlier in the evening, can leave you mentally jumbled up. A good motivator to figure this scenario out is having robed cultists stalk you, asking where the girl is.